“The vehicle damage is extensive to the footway and therefore the footway requires reconstruction. 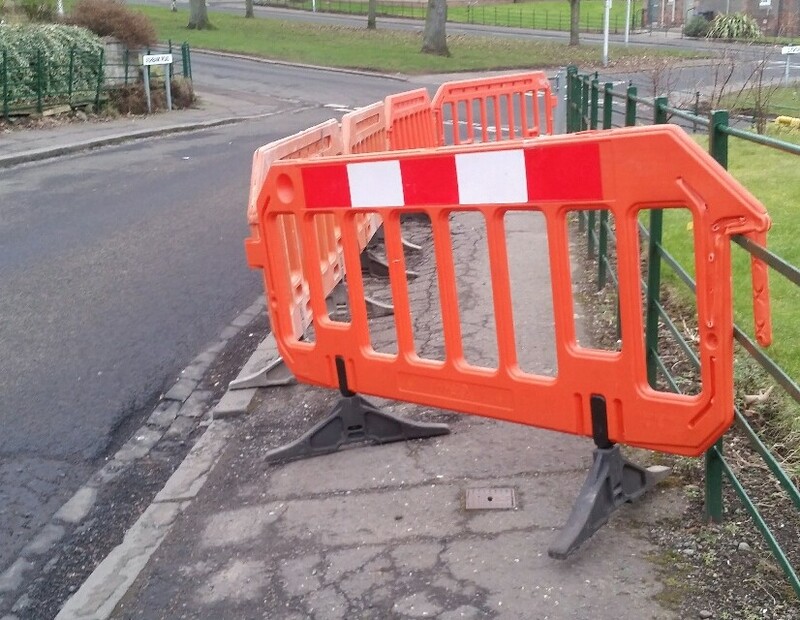 The works required are more significant than can be accommodated with routine maintenance budgets and therefore these works have been included for within this year’s adopted footway programme and are programmed currently for late October. It is badly sunken and, in the view of residents and myself, not safe to walk along. I immediately contacted the City Council’s Roads Maintenance Partnership who have put barriers in place – see below. This is rather concerning and exactly what I warned about at the council’s budget meeting last month, where my alternative budget, had it been adopted, would have reduced the scale of cuts in roads and pavements maintenance. The scale of cuts in roads and pavements budgets are significant and will bite over the next year. 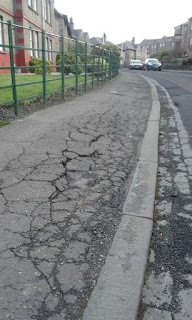 I will continue to campaign for proper reinstatement of the pavement in this part of Ashbank Road. Following recent safety concerns highlighted by residents of the Logie Estate and the Blackness Road area about the crossing of Blackness Road at the Ashbank Road junction, I have obtained an assurance from the City Council’s Head of Transportation that council traffic engineers will assess the area to see what pedestrian crossing improvements can be provided to improve the situation. This is a long-standing issue that many residents rightly want addressed. 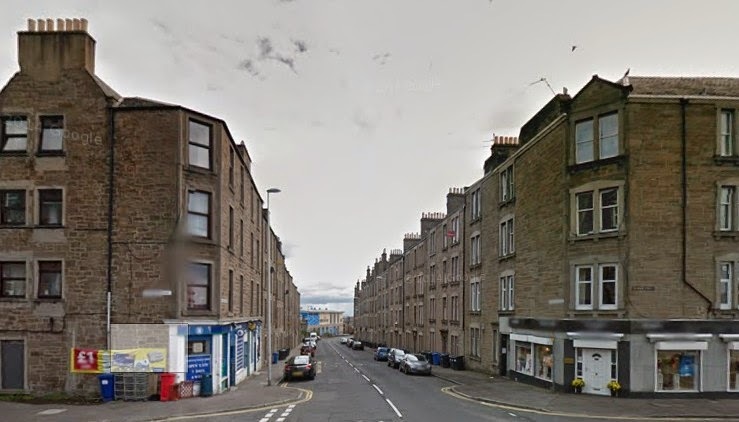 “We have undertaken pedestrian surveys at this location previously and the volume of pedestrians was significantly below the threshold that would trigger the provision of a traffic signal controlled crossing. This is the case along much of the length of Blackness Road where we receive requests for assessment for provision of such facilities. However there are very few attractors or desire lines that cause there to be a concentration of demand. It is important that pedestrian crossing safety is improved at this busy junction. Personally, I think there is merit in investigating the viability of a lights-crossed facility but I welcome the assurance I have been given that traffic engineers will fully assess the area to see what improvements can be introduced. 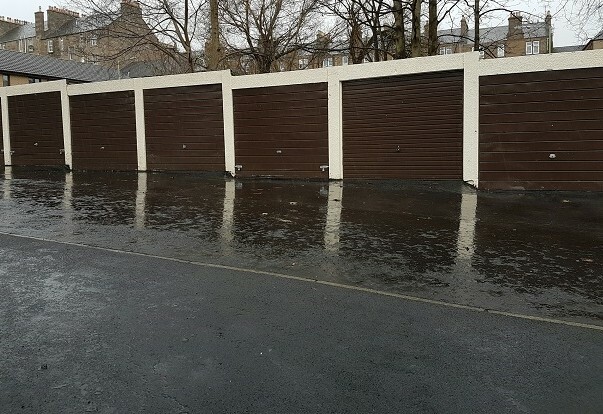 Following the recent housing improvement works in Logie Estate, residents have complained to me that there’s a fair old mess been left on the grass area in Logie Avenue (for example – near Ashbank Road) where the storage containers were – deep ruts in the grass, some debris and the grass area has been left very muddy. I have therefore asked for remedial action to be undertaken by the Housing Department. I was out and about visiting constituents this morning and as this view from the WL Gore site in Perth Road shows, it is a thoroughly beautiful morning! The ‘pointless’ traffic lights have gone – but the bus stop needs attention! The ‘pointless’ traffic lights in Blackness Road were finally removed today but well after the roadworks caused by work to repair a burst water main had been completed on the road.I contacted Scottish Water’s Regional Community Manager first thing this morning and was promised the traffic lights removal was in hand and I made a visit to the road in the afternoon to check that the lights had been removed and indeed they finally were gone. However, the much-used bus stop into town near the junction with Ashbank Road was still out of service and I have asked the City Council to ensure it is back in operation as soon as possible. Whilst I am pleased the traffic lights are now gone and the road has returned to normal, it is disappointing that removing the traffic lights was not properly co-ordinated with the end of the water main works. 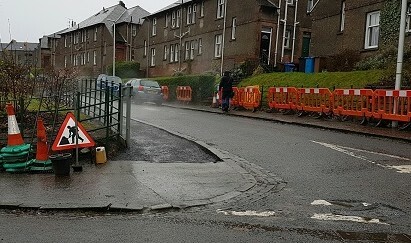 Following Scottish Water failing to remove them as promised by 5pm yesterday, I received complaints from residents last night about the situation – as the traffic lights remained there for no reason whatsoever.